We are one of the prominent suppliers of "Bar Mops". We use 100% cotton yarns, thus it have good hand feel and more absorbant and easy to wash. We offer our range in different sizes & weight to meet the client’s needs and price target. 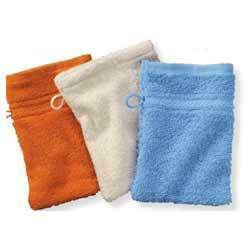 Our organization is offering Bar Mop Towel to our clients. These are used for mopping bar tables and counters. Available in standard size of 14 inch x 17 inch, weight - 50 gms. Can be offered in other sizes and weights also. As per the needs and requirements of our clients, we are involved in providing Cotton Bar Mop. We Manufacture, Distribute and Export a pure cotton mops. We Offer 100% cotton mops with a terry or narrow ribbed surface. The mops are white in colour. We offer three stripe colour options such as gold, blue or green. These towels need to be washed before use due to compression from baling. 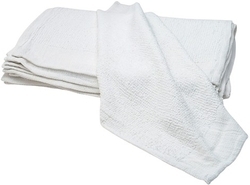 Matching up with the requirements of our clients, we are involved in offering Cotton Mop Towel.